The BUGCODE_USB_DRIVER BSOD (Blue Screen of Death) error may appear during the initialization process for Windows Vista, XP, and 2000, And Windows 7 and 8. It means that an error has occurred that pertain to installed USB hardware such as motherboard and attachments, or an error has been encountered while loading a USB device driver. This error results in a shutdown or a reboot state in order to prevent damage and loss of unsaved data. 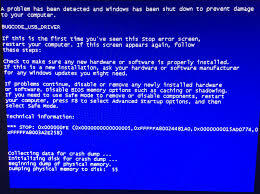 This BSOD error also occurs in computers running Windows 7 and Windows Server 2008 R2 when the system resumes from a sleep mode when a USB composite device supporting the Selective Suspend feature is used. You can resolve the BUGCODE_USB_DRIVER BSOD error by installing the latest service packs or Hotfix for Windows that directly address this issue. After downloading the Hotfix from the Microsoft support website, you have to restart the computer to verify if the error has been resolved. If the BSOD error is due to a malfunctioning USB device, you can resolve the issue by removing the device and replacing it with a unit that functions properly. Updating the device driver with the latest version will also help resolve the error. Installing the latest Windows software updates, both critical and non-critical, also helps in resolving BSOD errors. You can install updates manually by opening the Internet Explorer (IE), clicking on the Safety, Windows Update, and then follow the prompts and instructions that appear on the screen. When using IE 7 or its older versions, open the browser, click Tools, and then Windows Update.